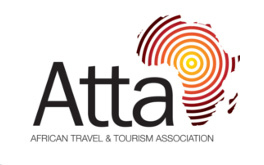 Atta - The African Travel & Tourism Association is a trade association that promotes tourism to Africa from all corners of the world. Click here to visit the Atta website. Founded in 1987, the Southern African Association for the Conference Industry (SAACI) is the umbrella body of the conference and meetings industry of South Africa. SATSA has been the Mark of Quality Tourism in Southern Africa for 40 years. Click here to access SATSA website. The South African Bureau of Standards is responsible for regulating the quality of South African goods and services. Click here to access the SABS website. Click here to access the Cape Town Tourism website. Click here to access the USTOA website. Click here to access the SITE website. Click here to access the Fair Trade Tourism website.